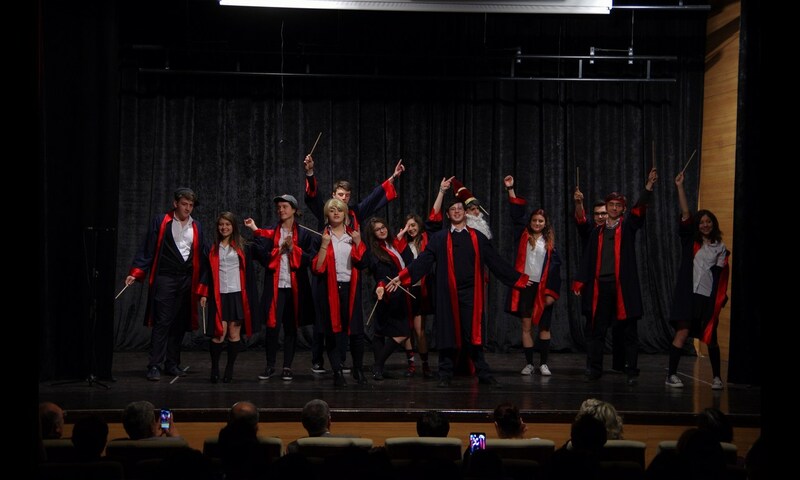 A Very Potter Musical (AVPM) was performed by TED Kayseri College High School students in the Conference Hall. 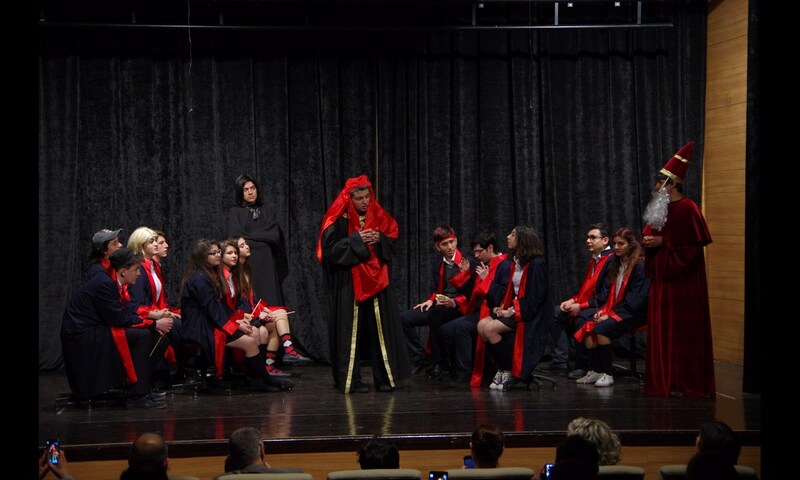 AVPM is a parody based on several of the Harry Potter novels by J.K.Rowling. It tells the story of Harry Potter’s return to Hogwarts School of Witchcraft and Wizardy, the trials and tribulation of adolescence, his participation in the House Cup Championship, and the return of the dark wizard Lord Voldemort to power. 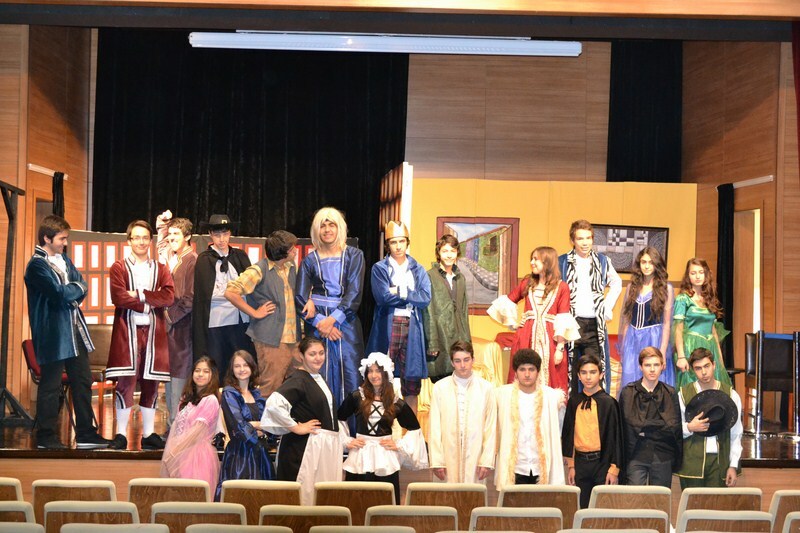 AVPM met with the audience on 28th April, Tuesday. The performance was such a huge success that the audience brought the house down. We would like to extend our congratulations to our students and those who contributed. We are proud of our debate club students that had a catchy performance with the topic of parental involvement in youth and adolescent process. All aspects of care, especially the attack parts in the debate have been memorable since there was a heated confrontation between opposing teams. 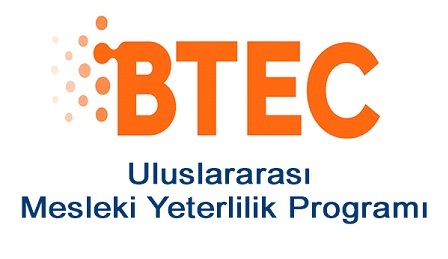 Not only the attack parts but also the videos, which our student Berkay Ünlüsoy prepared, have gathered very aroused interest. 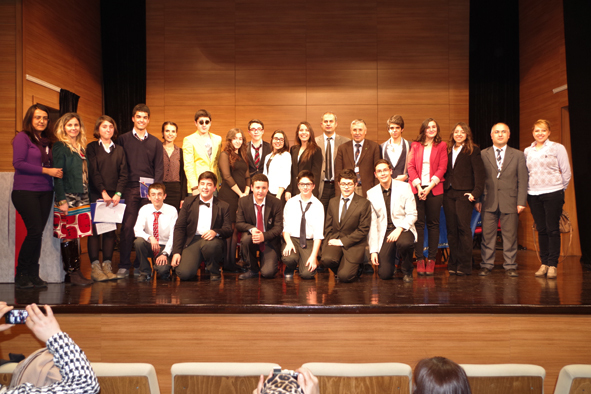 At the end of the debate, Tolga Mert Işık and Ece Yıldız have been chosen the best speakers of the debate by the jury. Also, the team “AGAINST” has won the crossfire debate. The Debate clubs function best when there is a strong sense of belonging. 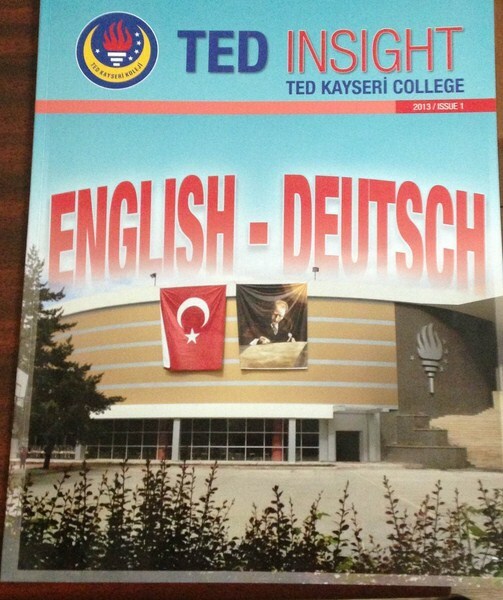 As TED English Debate Club, our mission is to help develop each student. Debates have an active role on the development of people’s characters. 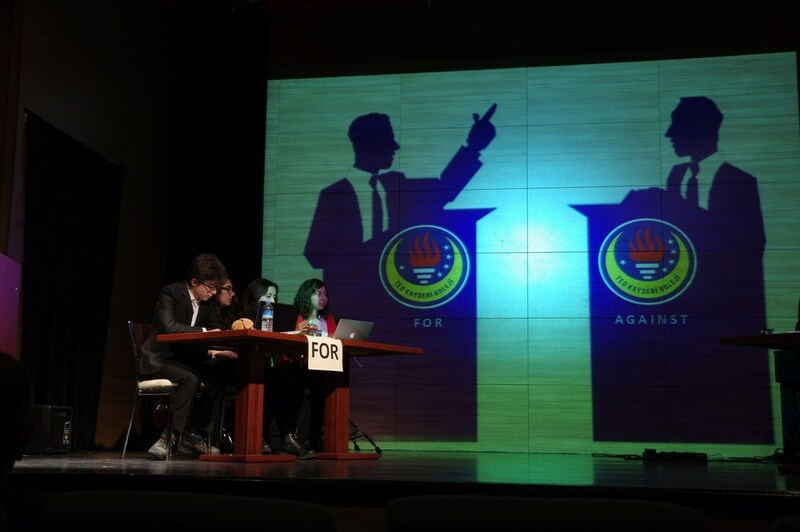 During the debates, students learn to express their opinions and to persuade their opponents. 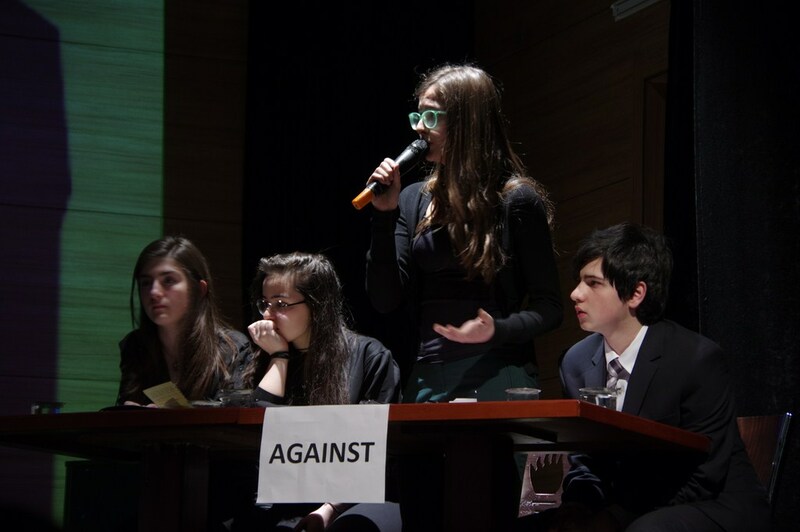 Students, who have a role on debate, gain confidence to talk in front of a group of people, learn effective speaking methods, work with a team, and develop their abilities to do research. 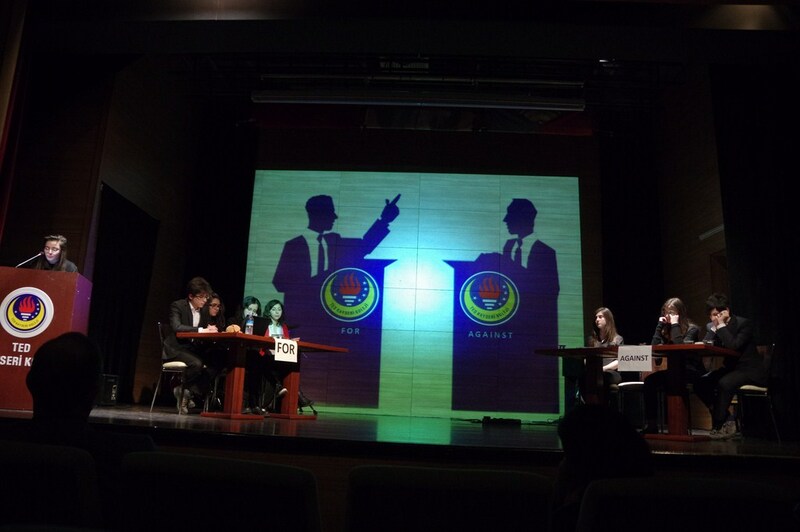 Students also learn to observe a discussion (debate) in its positive and negative ways. Our debate club comes together every Thursday after school. 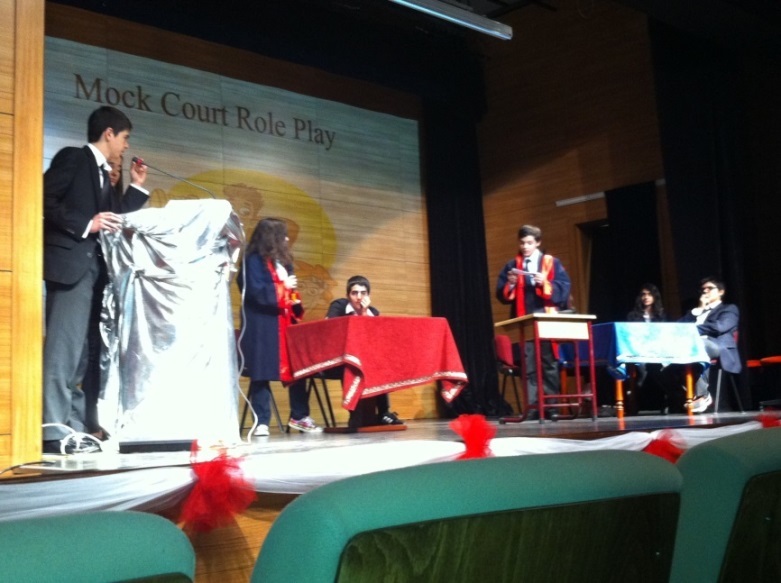 The debate show, where ‘Reality Shows’ was discussed, was prepared by High School English Debate Club’s 9th and 10th grade students’ teams. Students showed a video of their studies and activities in their Debate Club. Then, the teams presented their speeches. During the breaks, students gave funny examples of television programmes by dancing, singing and acting, and they charmed the audience. 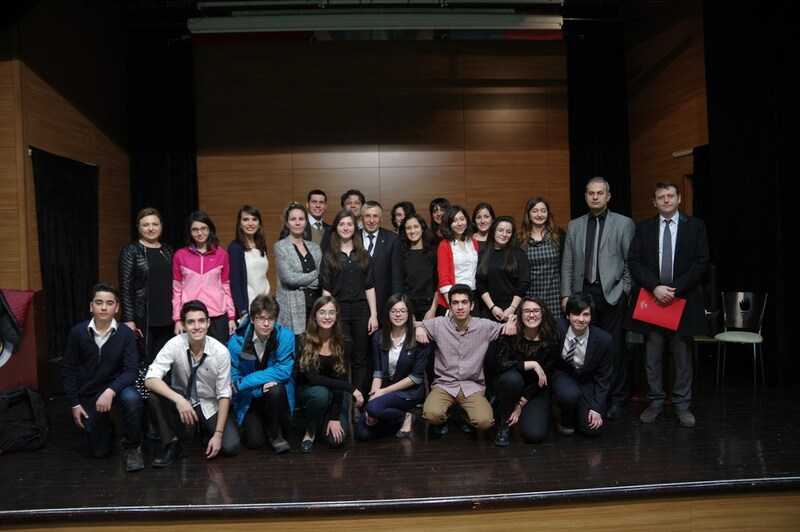 According to the jury’s decision, Elif Özeller and Zeynep Soysaraç from 9-D were chosen the best speakers of the debate. Life is like a stage. Learning is training children for their future performances. 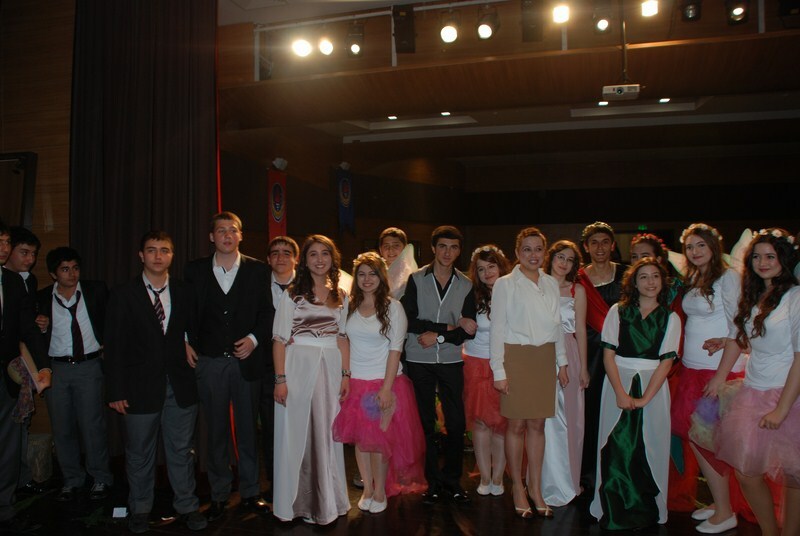 TED English Drama Club aims to bring learning English and acting together. 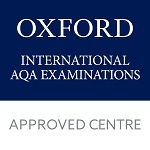 This helps to make learning English more enjoyable and meaningful. Furthermore, students understand the importance of team work . 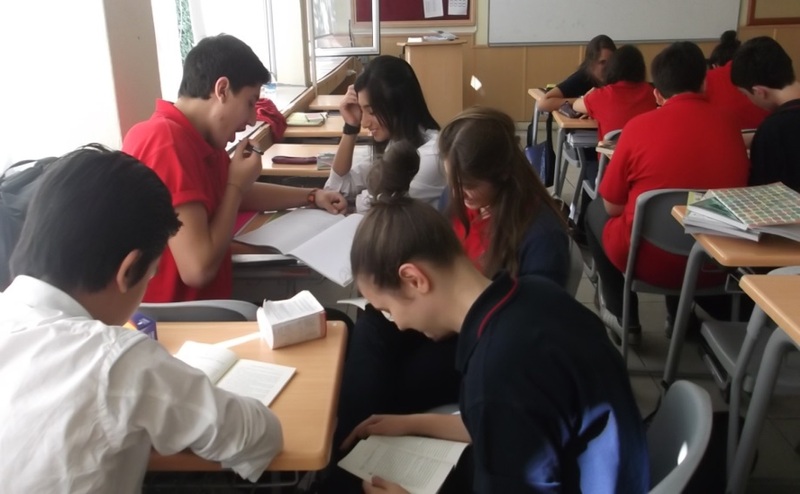 Our language teachers and students come together every Thursday after school for two hours. We start with a series of drama exercises and a general discussion of students’ preferences. We discuss how a good play is performed, how to characterize act and many other topics. 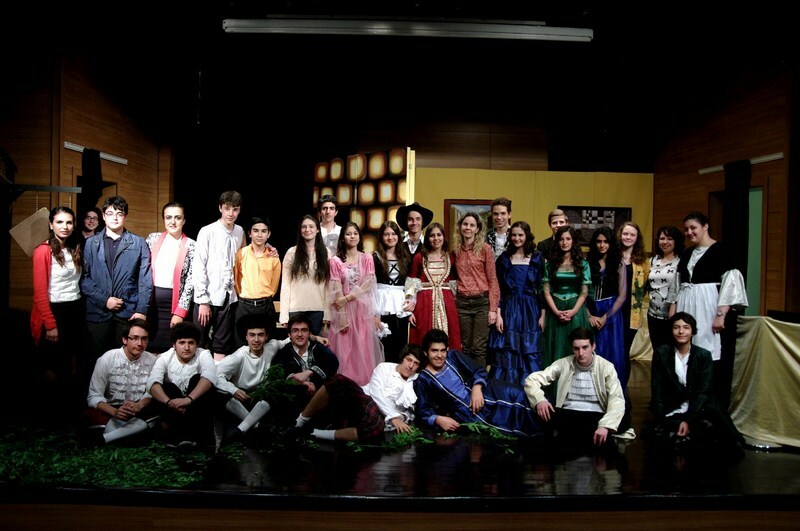 We performed William Shakespeare’s “The Taming of the Shrew” last spring. Students read the text, did their own make-up, prepared all the costumes and a lot of other activities to entertain the audience by themselves. And all were in English. 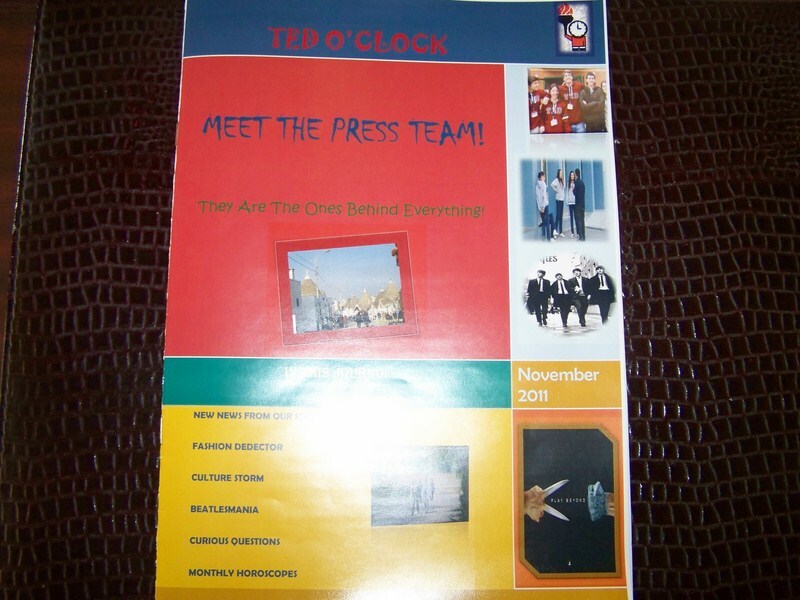 Our high school students establish an English- German magazine every year.